Even with Sunday’s 8-4 loss to the Arizona Diamondbacks, the San Diego Padres remain on top in the National League West and still have more wins overall this season than any other team in Major League Baseball. Coming home from Arizona following a four-game series there, the Padres are 11-6 on the season–putting the team a nose in front of the National League Central Milwaukee Brewers‘ 10-6 standing. San Diego delivered the first blow to the D-backs Sunday in the top of the first when Padres center fielder Manuel Margot homered to left center field off a Zack Greinke pitch. 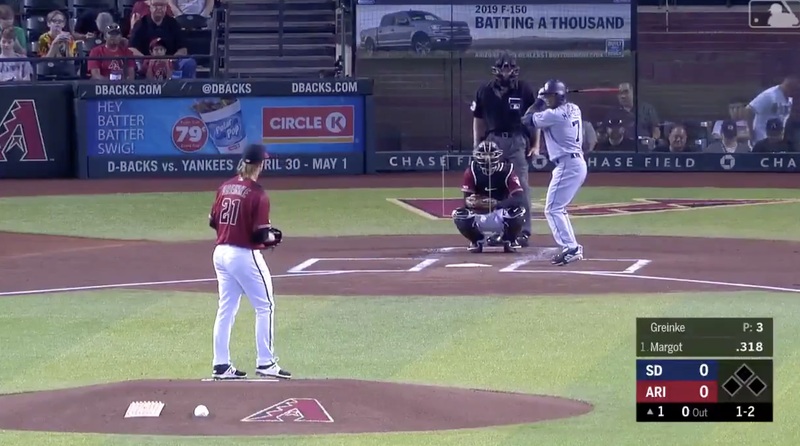 In the bottom of the third, Arizona got revenge when Ketel Marte homered with one man on base. San Diego rallied in the top of the fifth with a home run into left from Fernando Tatis, but Arizona left fielder David Peralta did the real damage in the bottom of the sixth with a home run and two RBIs. With the Diamondbacks on top in the bottom of the seventh, Arizona center fielder Tim Locastro scored off a balk giving his team a cushy 7-2 lead. San Diego competed in the top of the eighth with two more runs, but those were quickly followed up with a home run in the bottom of the eighth by Arizona first baseman Christian Walker. Arizona pitcher Zack Greinke got the win, while San Diego’s Eric Lauer took the loss. Despite missing a D-backs sweep by one game, San Diego’s next matchup begins at Petco Park Monday against the Colorado Rockies and it should feel comfortable. The Rockies have had a difficult 4-12 season start, and are in last place in the National League West.